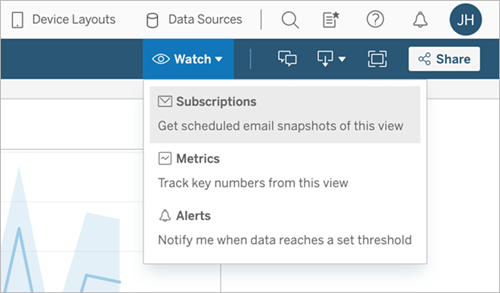 Subscriptions email you a snapshot of a view at regular intervals—without requiring you to sign in to Tableau Server or Tableau Online. Note: In Tableau Server, administrators determine whether subscriptions are enabled for a site. 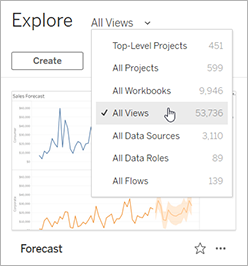 When you open a view in Tableau Server or Tableau Online, if you see a subscription icon ( ) in the toolbar, you can subscribe to that view or the entire workbook. If you own a workbook, if you are a project leader with an appropriate site role, or if you are an administrator, you can also subscribe other users who have permission to view the content. In a site, select All Workbooks or All Views, or open the project that contains the view you want to subscribe to. Open a view either directly, or after opening the containing workbook. In the toolbar above the view, click Subscribe. Add the Tableau users or groups you want to receive the subscription. To receive a subscription, users must have permissions to 1) view the content and 2) download images or PDFs. If they use Tableau Server, their accounts must also have email addresses. Note: When you subscribe a group, each user is added individually at the time the subscription is created. If more users are added to the group later, you must re-subscribe the group for those new users to receive the subscription. Likewise, users later removed from the group will not have their subscriptions removed automatically unless their permissions to the subscribed view are removed. Choose whether subscription emails include the current view or the entire workbook. For Tableau Server, choose from subscription schedules established by your administrator. For Tableau Online, click the drop-down arrow to the right of the current settings. To change the time zone, click the Time Zone link it to go to your account settings page. To clarify subscription emails, customize the subject line, and add a message. If the view contains data only when high-priority information exists, select Don't send if view is empty. If you own the workbook, select Subscribe me. 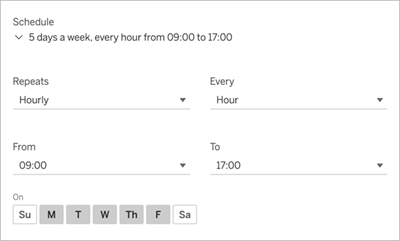 When you receive the email on the subscription schedule, click the image to open the view in Tableau Server or Tableau Online. Click Manage my subscriptions at the bottom of a subscription email. 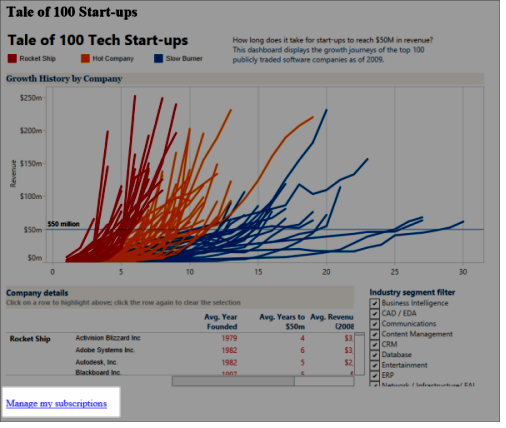 Sign in to Tableau Server or Tableau Online. At the top of the page, select your name, and then select My Content. Select the check box next to the view you want to unsubscribe from, click Actions, and then click Unsubscribe. From the My Content area of Tableau web pages, an icon appears in the Last update column to indicate that the subscription is suspended. Select ... > Resume Subscription to resume. From the Subscriptions tab of the affected workbook, an icon appears in the last update column to indicate that the subscription is suspended. Select ... > Resume Subscription to resume. You'll receive an email notification when the subscription is working again. Change Subscription Settings in the Tableau Desktop and Web Authoring Help. Project-level administration in the Tableau Online Help, to learn which site roles allow full Project Leader capabilities.